The Westwood home at 1344 Warner Ave., LA CA 90024 lasted 13 days on the market before accepting an offer on 1/25/11. 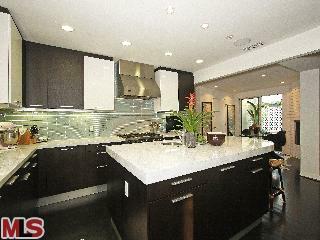 Listed on 1/12/11 for $1,529,000, there were no price reductions during the listing term. However, the home spent about 84 days on the market at the end of 2010 with an asking price of $1,595,000 without selling. 1344 Warner Ave. closed on 3/25/11 with a final sales price of $1,515,000. According to the MLS, the home is a 3 bedroom / 3.5 bath, 2,202 sq ft of living space on a 6,750 sq ft lot. The home had been completely remodeled throughout and is in move-in condition. Previously, the home sold in Feb 2006 for $1,300,013.